HTTP2 Server Push is a new feature in HTTP/2 Protocol where server already sends files that are required to render a page. It is basically done, by adding a Link Header to the page response of the loading page to Preload specific files. Server Push is actually supported on only Web Servers that have enabled HTTP/2 Protocol, nowadays most web servers support HTTP/2 (Apache 2.4.17 and nginx 1.9.5 supports HTTP/2). So if your web server supports HTTP/2 then you can server push files, but the web server does not automatically pushes files, because it is the application that has to tell which file to push in this case application is WordPress or W3 Total Cache Plugin. 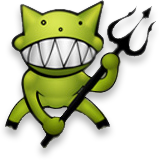 Demonoid Invitation codes are used to register on the Demonoid website whenever their registration is turned off for visitors. To register on demonoid website at that time visitors require an invitation code, which they can get from their friends or other users who are already registered on Demonoid.